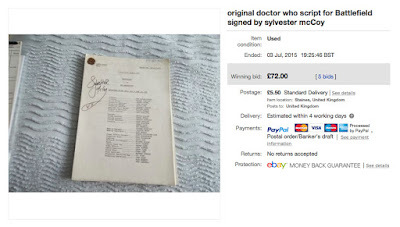 Meanwhile, someone is selling of their script collection on eBay this month, and here are the times relating to the Seventh Doctor. 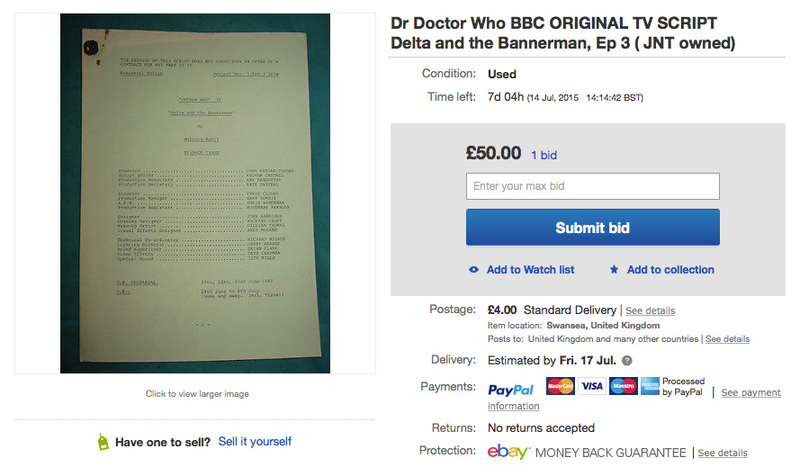 Listed is a original BBC Doctor Who Script once owned by the late producer John Nathan Turner. 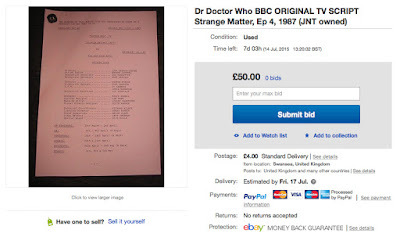 The Rehearsal script is entitled Strange Matter, episode four, and was the original working title before changed to the now familiar Time and the Rani (Dated : 24.3.87) starring Sylvester McCoy as the 7th Doctor. 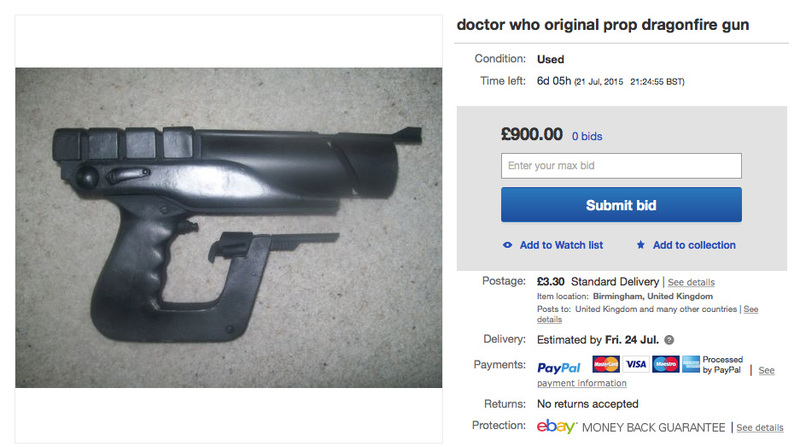 The item is in very good order, although shows slight pin rust, and is fragile being 28yrs old. 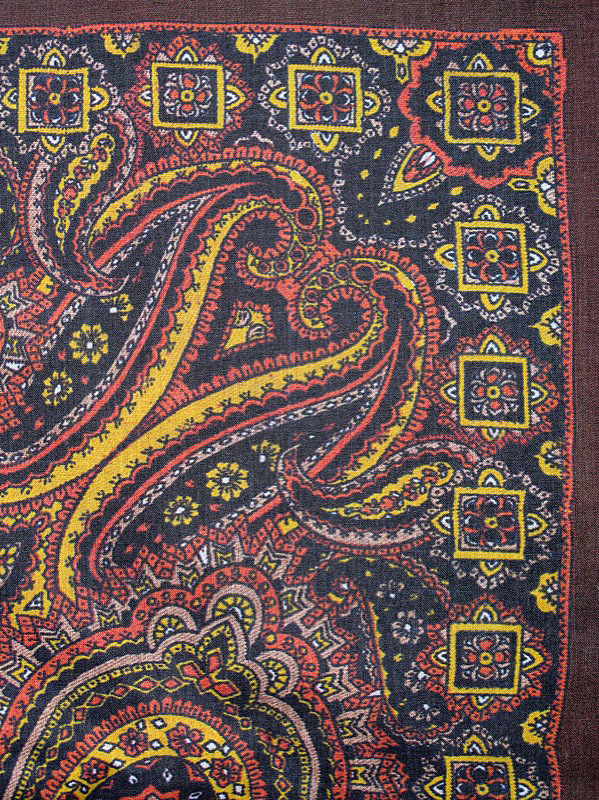 So take this into consideration. 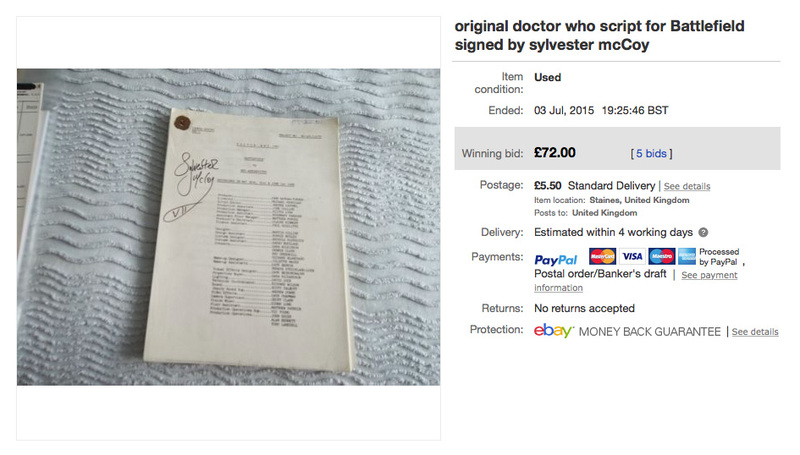 The item was kept by John in a filing cabinet for many years until his sad passing, then sold by his friend TV presenter Stephen Cranford who provided a signed letter of provenance which accompanies this great collectors item whoever wins this. 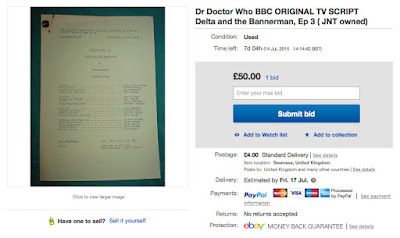 The Rehearsal script is entitled Delta and the Bannerman, Ep three, 1987 starring Sylvester McCoy as the 7th Doctor. The item is in very good order, although shows slight pin rust, and is fragile being 28yrs old. 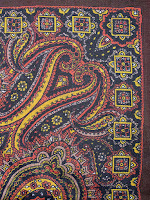 So take this into consideration. 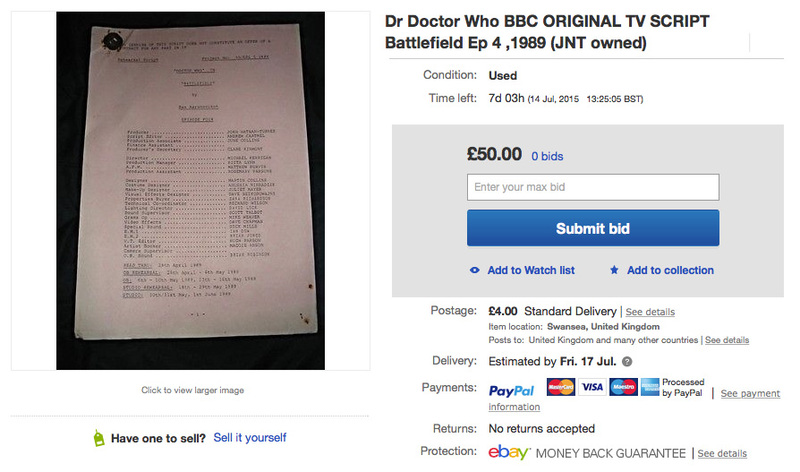 The rehersal script is entitled Battlefield, episode four , and features 7th Doctor Sylvester McCoy (1989) . 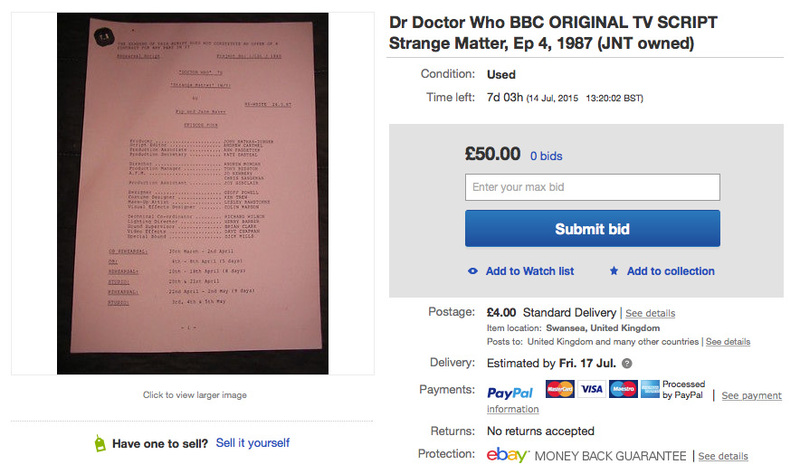 The item is in very good order, although shows slight pin rust, fading ,and is fragile being 26yrs old. So take this into consideration. 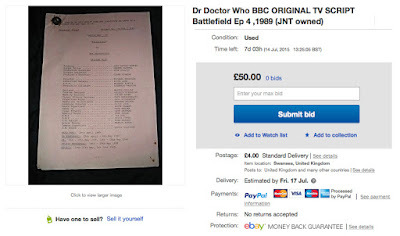 This auction is for a original camera script for Battlefield which was obtained from steve cambden who was the assistant K9 operator during the 70s/80s and still has connections to dr who the script has been signed by sylvester mcCoy which was obtained by myself.